The SP PRO is a multi-mode inverter that manages every aspect of your energy needs. SP PRO multi mode inverters are suitable for both Off-Grid and Solar Hybrid (grid-connect) installations for residential, commercial and industrial projects. The multi-mode inverters provide true transition from a hybrid to an off-grid system (and vice versa) with a simple on-site setting change. 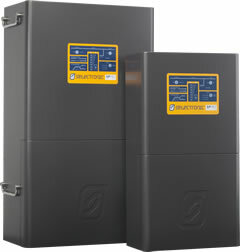 Selectronic’s inverters are made in Australia and installed globally. You can find SP PROs in almost all the continents of the world.